Having one great golf course is a sweet luxury. When you have three clubs (Snee Farm Country Club, Dunes West Golf & River Club, and RiverTowne Country Club) that you can package together to sell to golfers and their families, you’ve got a real winner on your hands. Contact Jaime Rau today at 843-849-2400 ext. 3 or jrau@rivertownecountryclub.com. The 9th hole at Dunes West golf course in Mt Pleasant, SC. Both courses – The Links and The Harbor – were designed by world-renowned architect Tom Fazio. 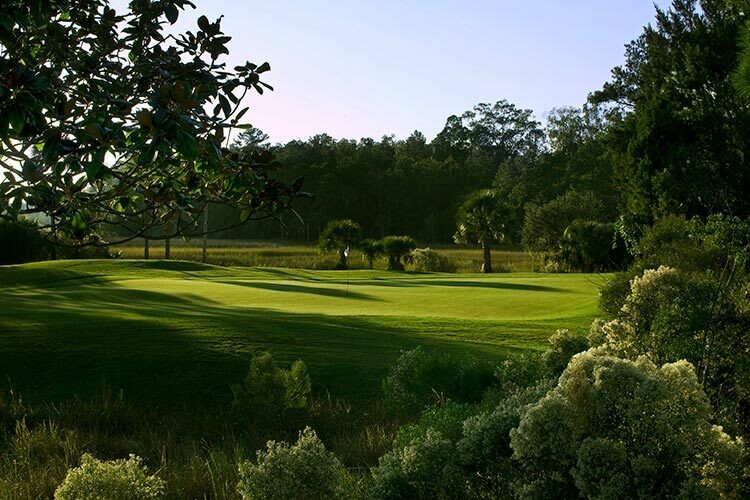 They are routed through natural salt marshes and tidal lagoons, which provide golfers with views that are trademarks of the Lowcountry. The Harbor Course parallels the Intracoastal Waterway, and the Links Course is one of just a few courses that are played with the Atlantic Ocean as a backdrop. “The Harbor Course is unique in that the first eight holes play straight away from the clubhouse, and the last 10 holes play directly back to the clubhouse, a similar design to many seaside courses in Europe,” Minton explained. The Harbor Course also has six par 3s, which makes it popular with junior players, families and those just learning the game. 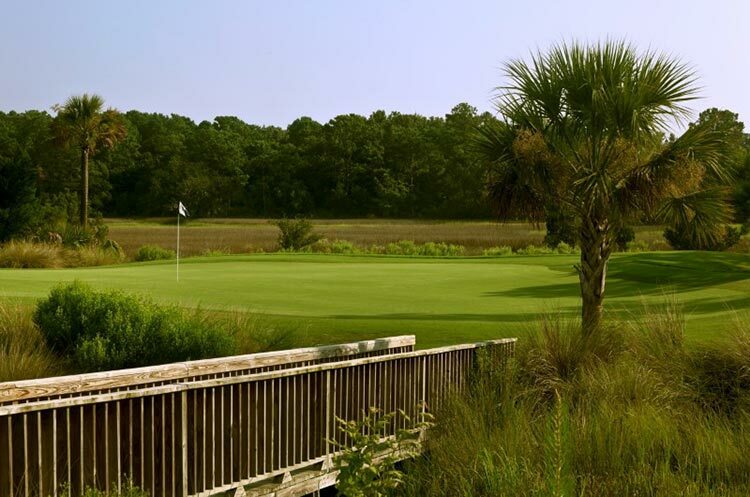 The Links Course sits on natural dunes that are typically not found in the Lowcountry. The word “links” is derived from the English meaning of “rising from the ground or ridge and further refers to a coastal and sandy dune area,” said Minton. Minton said golfers enjoy playing both courses because of the differences in the layouts and natural beauty of both. Golfers who don’t use a golf cart find the Links Course an easier walk. In 2015, the Links Course was closed for a six-month renovation that consisted of resurfacing and enlarging all the putting greens, a new irrigation system and new cart paths. Several bunkers were added, and small design changes modernized the course for today’s game. To learn more, visit www.destinationhotels.com/wild-dunes.